I've talked in previous blogs about how much I love Leonard Cohen's music. And Rufus Wainwright, who did an amazing cover of Cohen's Hallelujah. 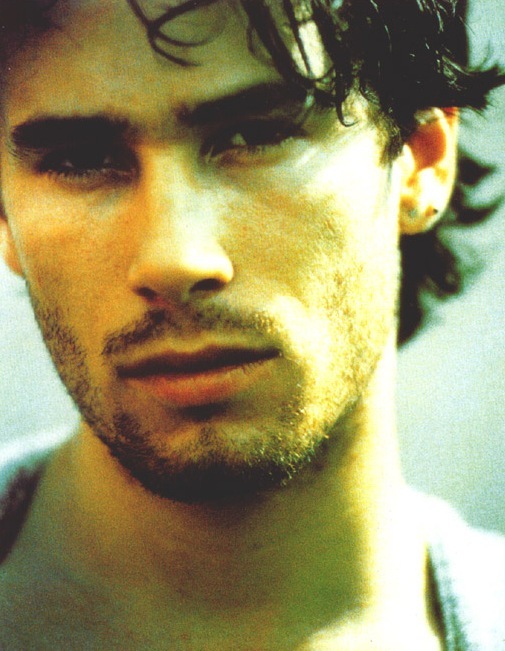 But it would seem that the gorgeous Rufus may have had his inspiration from Jeff Buckley. Listen to this performance of Hallelujah. My heart breaks. Watching this gorgeous man sing with such intensity and passion is truly remarkably beautiful experience. Jeff Buckley died in a tragic drowning accident in Memphis on May 29, 1997. Since then, he's become recognized as a very influential songwriter/singer for his generation, even though he had a very short-lived career. Jeff and Rufus spent an evening together (not THAT kind!) when they were both doing the New York scene in 1993/94 (I forget which), at which point Rufus has told of his putting away the jealousy he had for Jeffs voice, beauty and the hype surrounding him. I think I might be the only one who prefers the Cohen version. Nick...so many years later I'm responding. I'm "Mr. G". But you are actually right. I had the same epiphany recently while listening to Leonard's original recording of HALLELUJAH. As much as I LOVE all the subsequent covers of the song, including Buckley's soulful rendition, I found Cohen's interpretation the most compelling (but since he was writer, it wasn't an interpretation, was it?) The tempo, the phrasing of Leonard's original was best. But I loved how the other singers since have made it into a very more complex work of art. Sorry for a delayed response.......I didn't think anyone was reading this so I kind of abandoned it. Bravo to the brilliant Leonard Cohen!